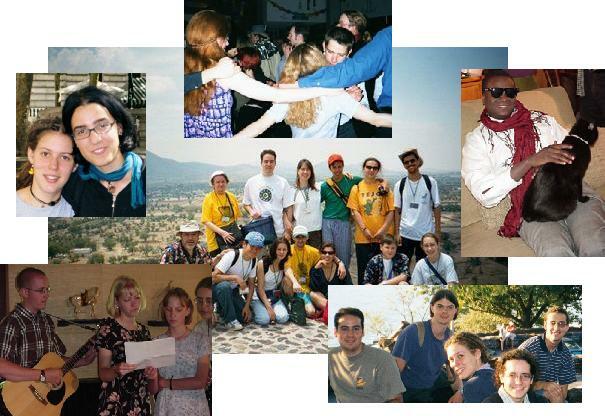 This site is dedicated to providing information about Esperanto, its youth culture, and events. Esperanto is a language that helps build international understanding and friendships. Click here to learn more about USEJ and Esperanto in the US and the world. New website for learning Esperanto! Lernu! is now the ultimate site for learning Esperanto. It has text and exercises for several courses, often with audio, and you can click any word in the lessons to have its definition appear in the searchable dictionary in a corner. In another corner is an instant messenger where you can talk with other people online, to ask questions or just to chat. There are flashcards for building vocabulary, an online grammar, and Esperanto music to download along with the lyrics, which you can also click on to see the translations in the dictionary. It's an attractive and full-featured site, that we highly recommend. Check it out! Show your pride with an USEJ T-shirt! T-shirts with the USEJ logo and a quote on the back are now available. Click here to see the designs and for information on ordering. The Pasporta Servo book is available from ELNA! ELNA has taken over the selling of Pasporta Servo in the US from USEJ. You can now order through ELNA's book service. Visit the Pasporta Servo website for more information about the service.